We all know someone who has them and we all know that instant lash envy because they look so fab, but what are they ? What’s the difference between Russian Lashes and all the other lashes out there and why does everyone seem so obsessed ? For me personally the first and probably the most popular reason people love them is because you can achieve a really full glamorous look with them being virtually undetectable. Yes you heard correctly, there is a very small chance you will not be able to even feel they are there ! The reason for this is because compared to your standard classic lashes the ones used for a set of Russian lashes are ULTRA thin. They need to be ULTRA thin in order to create luscious fans ( by fans we don’t mean groupies but you very well may acquire some admirers of your new fluttery lashes) ! What on earth are fans and why don’t I get them with a classic set ? 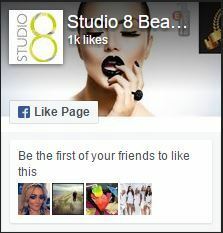 Fans are the biggest difference between your classics lashes and your Russian lashes. With classic lashes, we apply one individual eyelash onto one of your own. With this one on one method, the lash technician has to be conscious of the weight and length your lash can handle. The outcome is that classic lashes are usually very natural looking lashes. It all depends on your own natural lashes. If you only have a few natural lashes, the lash technician is limited to applying lashes according to the number of natural lashes that you have. However, if you have loads of thick natural lashes for the lash technician to apply to, the end result will be a lot fuller. Russian lashes are applied as fans. The beauty of fans is that there are 2-6 super thin lashes handmade into a fan shape. These are then applied on to one of your own lateral eye lashes. 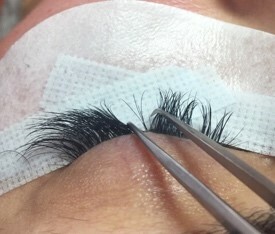 Because they are thinner this allows the lash technician to put more lashes onto one of your own natural lashes. This means that even someone with fewer natural lashes will still achieve a much fuller look than classic lashes. Lower lashed fans such as 2-3 on one lash for a more natural look. All the way up to 6 mink lashes made into a fan for a mega glam look (but this depends on whether your natural lashes were suitable). The key thing to remember, is that where the lashes are so thin they still look beautifully fluffy and wispy so no worries about hard dark spidery lashes ! This does however take time, so expect a full set to take around 2 hours to apply. Thicker than your lashes but still natural. Quicker application than Russian Lashes. Classic lash application is perfect for you if you have a good healthy amount of lashes, with few gaps in the lash line. Less chance of achieving a glamour look. More obvious when they start to fall out between infill appointments. Fluffier / lighter feel, so more comfortable to wear. More glamorous full looks can be achieved with no extra weight or discomfort, gaps are less noticeable between lash infill appointments. But what of the dreaded damage you hear about on your natural lashes as a result of lash extensions ? If your lash extensions are applied properly and carefully by an experienced, well trained lash technician, you will experience no damage to your natural lash but the next bit is up to you as the client to maintain a great set of lashes. Both Classic lashes and Russian Lashes are applied to one of your own natural lash that has a lash cycle. It grows, it matures, it dies and falls out. If you are a picker, you will find that by picking and pulling the lashes out, your natural lashes will come out as well ! Don’t try this at home. The solutions will harm your eyes because you simply cannot see what you are doing and you run the risk of damaging your lashes. 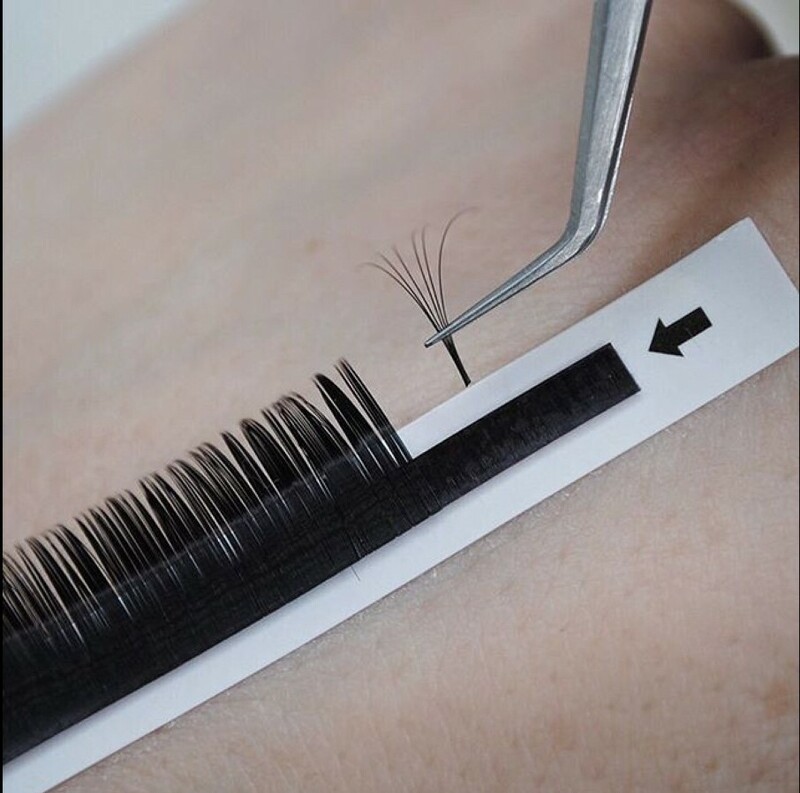 So if you have heard horror stories from friends about their lashes being damaged after having extensions they most probably left out the part where they picked and pulled at them! 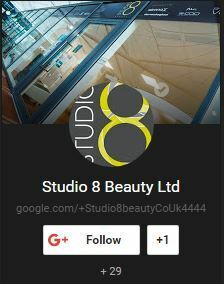 Here at studio 8 beauty your lash health is our priority so removals of our lash applications are free of charge to ensure your natural lashes stay healthy. Lash extensions are an investment of your time and money. 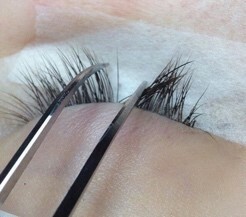 Look after them, follow the aftercare specific to your lash extension type and they will last. Cleanse with the correct product every day. Comb them through as instructed by your lash technician. Sleep on you back or use a sleep mask or pillow designed for lash extensions. Make sure that your make up and eye makeup removers do not contain oils. Never leave make up on overnight. Avoid over exposure to heat and humidity. i.e. steamy baths & showers, hot tubs & steam rooms. Research your lash technician to ensure they are qualified in the technique that you are looking for. So now you know the differences and have probably decided the type of Lash Extension you want, what’s stopping you getting fuller, fluttering, flirty lashes! For details on our range of Lash services, please visit our Lash Treatment page. Call Studio 8 Beauty on 02392 380 692 to book your lash extension treatment with Thea or Alice or click here to go to our treatment booking portal.